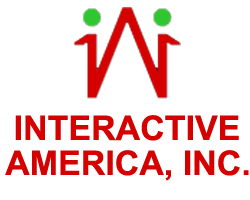 Our Mission - Interactive America, Inc.
We have made it our mission to serve veterans who've served us. Veterans make up 8% of the homeless population in the U.S. We offer a home to those who have protected ours. Veterans often find themselves battling loneliness and depression years after returning home. IA is committed to standing with those who stood up for us. Our extensive approach to assisting victims of domestic violence includes confidential emergency and transitional shelters where victims and their children can stay safely while we assist them with the steps toward recovery and independent living. We're committed to top-quality training no matter where you are. Take advantage of one of our many online training resources or request group training and we'll come to you. Through our Community Partner Program, We provide specialized assistance to our partners and members wanting to improve their competitive edge. Whether you are Interactive America, Inc faculty, staff, or students, we have the technology training solutions to best suit your needs. Get a head start on your professional development goals with this months of free workshops. Simply click on the session title below to register. "Huge opportunity. Looks like a sound investment. All it takes is a little capital and hard work." My company hired Gerald to be an IT consultant at GE Treasury, where he was performing IT Auditing tasks. He was in charge of all of the IT controls testing and making sure they were compliant with Sarbanes Oxley. We put him in there on a 2 week assignment that ended up lasting a couple of months. The client was very happy with the work he was doing. They had him stay on to do some extra tasks because he was doing such a great job. From my perspective Gerald is very easy to work with, if I needed anything from him he was more than willing to oblige. Gerald is very smart and was a pleasure to work with and an overall great guy!! Gerald is a subject matter expert in the area of IT compliance and controllership. He is results oriented and possesses unyielding integrity. Gerald was hired for his expertise in SOX, IT Audit and Risk Management to work at our client, one of the largest high performance, enterprise level organizations in the world. Gerald was a consumate professional delivering high quality results on time and ultimatley had his assignment extended several times. We very much look forward to working with Gerald in the future. Gerald provided risk analysis consulting services reporting into my SOX Project Manager. Gerald was well respected within the organization, worked independently, and provided well written and technically accurate Level3 process and Database framework deliverables that focused on policy compliant procedures for DBMS, and their repository. Gerald's deliverables were provided on-time and within the agreed upon service budget. I worked with Gerald Walker at CitiGroup during CITIGROUPS SOX implementation program. As we both reported the Project Manager, in similar roles, I found Gerald to be very creative with his proficiency of MS Office in greating our Risk Assessment reports. Gerald had a keen knowledge of the mitigating controls to correct vulnerbilities found during our testing. I found him to be a very valuable team player in consolidating and tailoring the IT SOX controls (Anti-Fraud, Enterprise & IT Controls) to detect residual risks at CITI. Gerald also contributed to writing corrective action plans to mitigate risks found at CITIGROUPS Capital Market & Global Storage Divisions. I was the Project Manager for the Citigroup audit and compliance project implemented by Iflex, during this time Gerald was charged with the task of review and editing Process Control Manuals (PCM) for the Global Storage group. Along with other consultants Gerald took the lead in interviewing the functional area managers and progress reporting, his performance in this roll was exemplary, he was able to analyze and edit the process control manuals to acceptance by the external audit team. Gerald has a dedication to task and detail that makes him a key player for audit and compliance functions. I highly recommend him to any compliance team. We serve those who have served our great nation, visit the Interactive America community. Click here to visit our Technology Center Facebook page!